Starting with the false notion that breaking public worker unions will help the state recover from the 2008 economic melt down, Ohio Governor John Kasich and the Ohio cheap labor conservative Republicans are supporting state Issue 2 (aka Senate Bill 5) by focusing on being “reasonable” and getting public workers to pay into their pension and health care plans. Of course Kasich and his Koch brother funders hope you will ignore the real damage Issue 2 will do to public employees and the fact that Kasich and the GOP leadership at the state house are making money hands over fist. 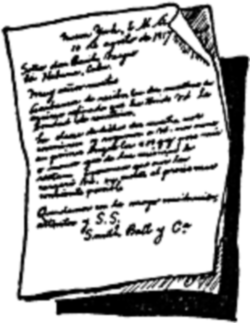 This entry was posted in Politics and tagged Governor John Kasich, IOKIYAR, Ohio, public employee unions, SB 5, State Issue 2 (2011), union busting, unions on October 4, 2011 by Doug. Found out today that Ohio Governor John Kasich is censoring any video or photos from his budget plan release press conference on Tuesday. The arrogance of this joker is ridiculous. I guess he doesn’t want any video record of what he presents that can be used against him later. You last saw this kind of secrecy in the administration of President George W Bush and has never been done at the state level. Kasich has also fallen in a recent poll and he’s only been in office three months. Reporters have been told they will not be allowed to broadcast sound and images from the Tuesday release of Ohio Gov. John Kasich’s budget plan. Spokeswoman Connie Wehrkamp says journalists can bring only pens, notepads and tape recorders to the afternoon briefing, where Kasich is to announce the first details of his state spending blueprint for the next two years. She says videos and photos will be prohibited and the audio may not be used for anything but checking accuracy. 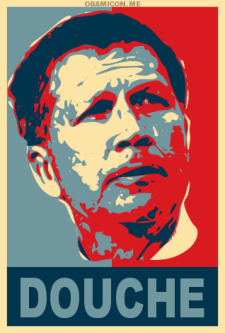 King Kasich’s day gets worse. In his first two months as Governor, John Kasich has scored a lower approval rating than the last three Governors, including Bob Taft, at this point in their terms. Most telling in this first poll are the independents, who at this point, are decidedly against the Governor – disapproving 52% to 30%. Kasich receives even worse marks for his handling of the economy, picking up the approval of just 38% of those polled. 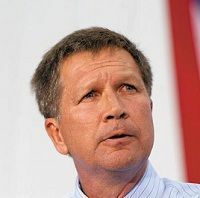 This entry was posted in Media, Politics and tagged 1st Amendment, budget, censorship, cheap labor conservative, collective bargaining, economic meltdown, John Kasich, Ohio, taxes, union busting, unions on March 14, 2011 by Doug. In politics some things go beyond just simple votes. A politician has to answer to their constituents, donors, and even the party they belong to. 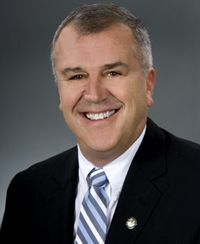 On Wednesday March 2nd, the political bill came due for Ohio State Senator Cliff Hite (R-Findlay). He owed a debt to the GOP and they got him to turn his back on his former colleagues in the public schools by voting for Senate Bill 5 that strips collective bargaining from public employees. Hite was appointed to the 1st Senate District seat on February 1st. On March 2nd he was suddenly appointed to the Insurance, Commerce and Labor committee that then voted to pass Senate Bill 5, which severely restricts collective bargaining for public employees, to the full Senate for a vote. Ironically the bill would affect public school teachers, Hite’s former profession. He also voted for final passage of the bill. Before becoming elected as the representative for the 76th Ohio House District, Cliff was a teacher and coach for nearly 30 years. Originally beginning his career in Danville, Kentucky, after earning a Bachelor of Science in Secondary Education from The University of Kentucky, Cliff made his way back to his hometown of Findlay, Ohio where he retired from teaching and coaching at Findlay High School. During his coaching tenure, Cliff won eight league championships, coached three National Football League players, coached 22 First Team All-State football players and was selected Coach of the Year six times. Cliff remains the winningest head football coach at both Bryan and Findlay high schools. In fact in the 2010 election when he won reelection to the Ohio House he was endorsed by the Ohio Education Association. I hope the pay back for the appointment was worth it. It was a steep price to take away the rights of union members and add jail time for striking. I’m sure he has all his Teacher pension paperwork in order so it didn’t matter to him turning his back on his former colleagues. This entry was posted in Columbus, Findlay, Hancock County, Politics and tagged cheap labor conservative, collective bargaining, John Kasich, Ohio, Ohio Senate Bill 5, protest, SB 5, Scott Walker, union busting, unions, Wisconsin on March 2, 2011 by Doug. In a recent post I asked how many union people in Wisconsin and Ohio voted against their interests and helped elect the cheap labor conservatives now trying to take away their collective bargaining rights. Looks like in Wisconsin we now know it was at least 17 points worth to the Democratic side. It’s actually Republicans, more so than Democrats or independents, whose shifting away from Walker would allow Barrett to win a rematch if there was one today. Only 3% of the Republicans we surveyed said they voted for Barrett last fall but now 10% say they would if they could do it over again. A big part of Scott Walker’s victory in November- and Ron Johnson’s as well- was Democratic voters sitting at home. Our final pre election poll in Wisconsin found that likely voters had supported Barack Obama by only 3 points in 2008, in contrast to his actual 14 point victory in the state. Those sleeping dogs aren’t lying any more though and when you combine the reinvigoration of the base with GOP union households trending back toward the Democrats, Walker seems to have severely hurt his party’s chances of building on their gains from 2010 next year. This entry was posted in Media, Politics and tagged cheap labor conservative, collective bargaining, John Kasich, Ohio, protest, Scott Walker, union busting, unions, Wisconsin on February 28, 2011 by Doug.